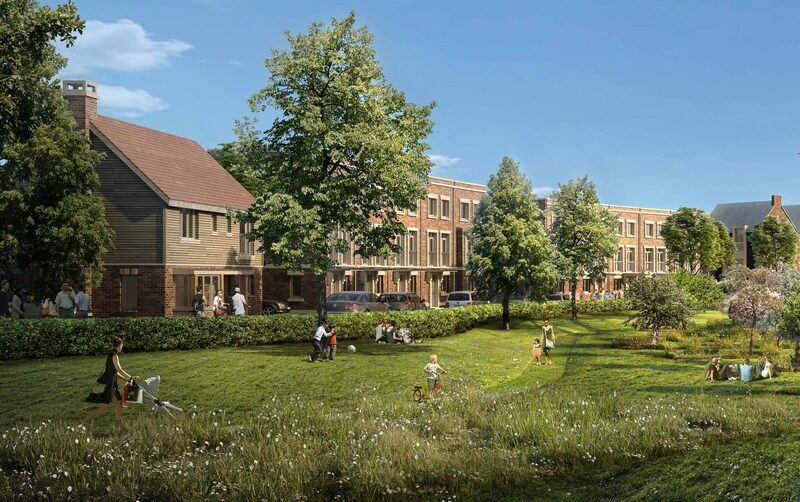 Hodson Developments has secured planning approval from Ashford Borough Council to begin Phase 1 of its major development at Chilmington Green. The planning approval means that work can now start on the construction of the first homes, which is expected to begin by the end of March 2018. The Council’s Planning Committee has approved Hodson Developments’ detailed plans for the start of Phase 1 of the development, which includes 346 new homes, subject to minor amendments to the drawings. Chilmington Green is a new, mixed use community by Hodson Developments comprising 5,750 quality new homes which will be built out over the next 20 years, providing much needed homes for Ashford’s growing population. As well as new homes, Chilmington Green will also boast its own high street, a secondary school, four primary schools, a park and extensive areas of green space. It will also provide up to 1,000 new jobs for the local area. Ashford is very well served by public transport with trains every half hour between Ashford International and London St. Pancras taking only 38 minutes via the High Speed 1 rail link. There are also approximately 37 Eurostar departures a week from Ashford International with direct trains to Paris, Brussels, Lille and other European locations. Initial infrastructure work started on the site in April 2017, including the construction of a new roundabout on the A28 as the main access to the development, work on other access points, new internal roads and land drainage. Alan Hodson, Managing Director, said: “It has taken many years of planning to get to this stage, and we are delighted to soon be in a position to start building houses. It will be great to get on site and start transforming all the plans into reality and we aim to have the first residents moving into the development in Winter 2018. The new homes will be available for off plan sales during Summer 2018. For more information about Chilmington Green visit www.chilmington-green.co.uk. You can also register your interest for this development here.